If you’re after some asparagus tips to get everyone eating their greens, try this steam sautée method. It’s quick, simple and will give you perfectly cooked asparagus that’s delicious with most meat (especially chicken) and fish dishes. 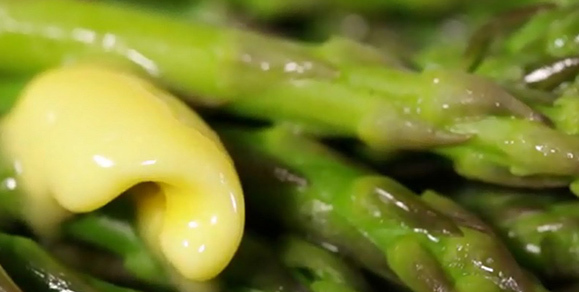 Trim off the tough ends of the asparagus. Melt the Dairygold in a saucepan over a medium heat. Add the trimmed asparagus and pour in around 100ml of stock. Cover the saucepan, bring it to the boil and allow it to cook for 4-5 mins. Serve with a pinch of salt and pepper and a dollop of Dairygold on top.